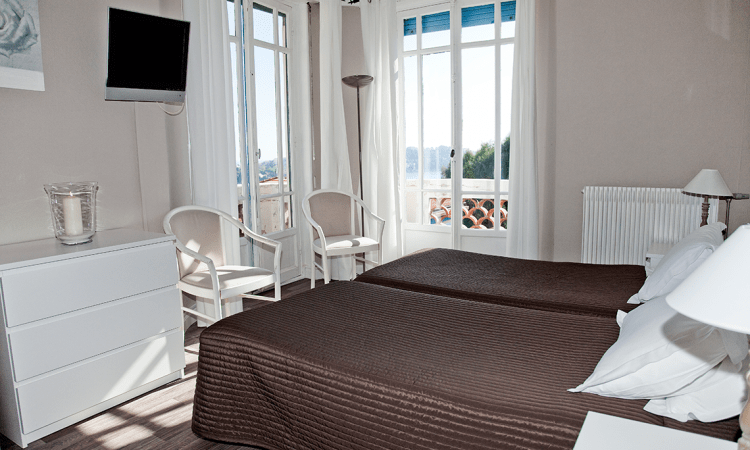 Une chambre vue sur mer ? A bedroom with a sea view ? The Provencal Hotel is a family and friendly hotel, run by the same family for 4 generations. with sea view or village view, and a shady and quiet terrace on top of a Mediterranean garden. and 15 minutes from Monaco.